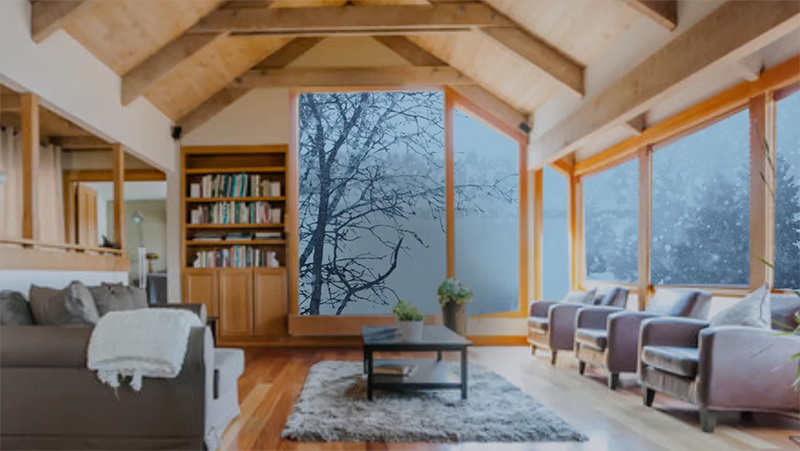 3M™ Window Films can do more than shield high-rises, commercial buildings and homes in the NYC metro area from large energy bills. 3M’s Safety & Security Window Films can help protect individuals from unwelcome impact events, whether they’re accidental, natural or malicious. At Columbia Filters, we’ve applied these safety and security window films on storefronts, in lobbies and atriums, apartment buildings and homes too. Available in clear safety film or with a tinted sun control option (see below), they have protective qualities without being visually obtrusive. Business owners like their functionality and protective qualities too. HOmeowners can expect theft protection. These films can help save lives and protect assets: Their superior strength can actually mitigate damage in a blast by holding shattered panes in place, capturing flying shards of glass. They offer protection from windstorms at high altitudes on skyscrapers, as well as in wind-prone environments such as guest houses and hotels along the shore or in higher elevations such as lodges in ski towns. Smash and grab thieves are in for a surprise too: These films can impede if not outright deny access to merchandise or belongings behind the broken glass panes. Ask us here at Columbia Filters about impact protection adhesives, as well as a flexible gasket style attachment that can adapt to most window frames and installed without cutting existing gaskets. These add another level of protection for premium strength security for businesses around the Tri-State area. Another security aspect is the enhanced privacy these films provide businesses to sensitive material on corporate screens visible through windows. For those who’ve cleaned up criminal mischief in the past, these films provide graffiti management and money savings options so you’re not replacing a vandalized window, but rather the window film secured to protect them. Ultra’s 3M™ technology employs a micro-layered composition to provide the ultimate tear-resistant safety window film by offering superior performance over standard polyester films in blast and impact events. Ultra is available in clear safety film or with a tinted sun control option that offers exceptional performance and a high degree of optical clarity. The first of its kind, the 3M™ Ultra Series films are made from clear, tear-resistant film. Ultra Series films can also be combined with many 3M™ Sun Control Films to give you the best of both worlds. These 7 and 8 mil polyester films offer basic protection. Available in clear safety film or with a tinted sun control option, these clear, single-layer polyester films rely on thickness to provide additional security benefits. While they do not offer the tear resistance of the Ultra Safety and Security Films, they do help provide a level of safety and security. Columbia Filters can also combine Safety Series window films with 3M™ Sun Control Films to provide both enhanced safety as well as the benefits of a sun control film. This window film series does just what it says: Adds a level of privacy to your office space, limiting views into offices or secure areas, back offices, or locales under construction. It’s versatile too by providing an aesthetic appeal with numerous design options. The advantages of etched, cut, sandblasted, textured, blackout, or one way mirrors are clear: Enhanced safety and security can be provided through privacy. These matte, blackout, and mirror films limit views through glass on the building interior. Because these films come in rolls, they can be cut into numerous decorative designs, and can provide an updated look, while maintaining the privacy desired. The Impact Protection System bonds the filmed window to the frame with either an adhesive or profile option. This enhance attachment system offers the highest level of protection—strong enough to help protect occupants against bomb blasts and smash and grab but also creates a robust window protection system that significantly outperforms window film-only installations.